Its coppery skin and delicious firm white flesh have made Red Sea Bream prized fare in Japan since ancient times. Now with demand booming more than ever, marine researchers are using artificial intelligence (AI), machine learning (ML), and the Internet of Things (IoT) to make sure there is enough to meet the nation’s appetite. Known locally as Madai, Red Sea Bream is at the center of Japanese culinary culture. It is traditionally eaten at celebrations and on feast days and is even mentioned in Japan’s oldest known text, the Kojiki. More than a 1,000 years later, hungry Japanese consumers just can’t seem to get enough – whether it is served up as sushi and sashimi, or fried, boiled, or preserved in all sorts of everyday dishes. Intensive fishing has seen wild stocks fall over the years and producers must rely on aquaculture to maintain supplies. But, like other highly labor-intensive industries, fish farming faces a daunting demographic challenge: Japan’s population is aging and it is getting harder to recruit and keep skilled workers. 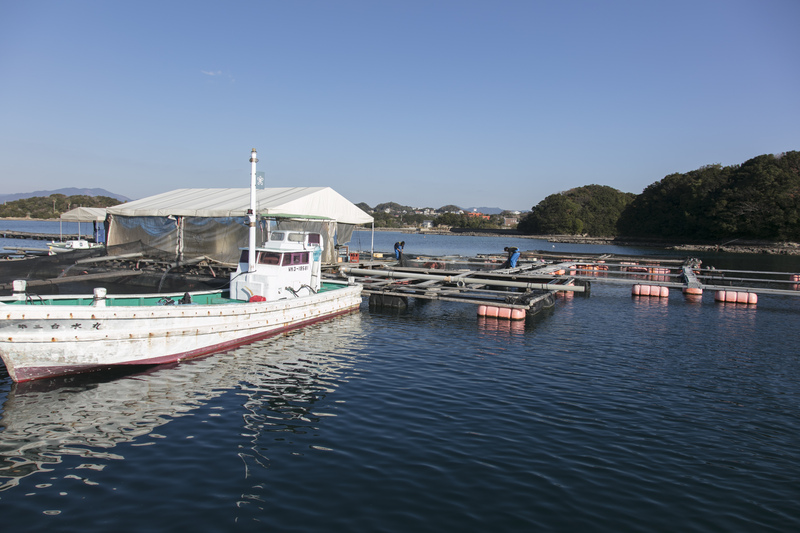 Kindai University’s Aquaculture Research Institute believes digital technology can help. At a time when it is exceeding difficult to attract talented people, we need to mechanize processes to work efficiently. The Institute was established in 1948 with the aim of “cultivating the sea.” Since then it has earned a global reputation as a pioneer in the farming of commercially valuable fish It made headlines in recent years when it was the first to raise Pacific Bluefin Tuna from eggs to adults – a breakthrough which could save this species that’s been decimated by overfishing. The institute’s Shirahama Station – about 80 kilometers (50 miles) south of Osaka – has long played a crucial role in the farming of 10 species of fish, including Red Sea Bream. It hatches larvae and raises them in tanks to “fingerlings” – juvenile fish that have developed fins and scales but haven’t yet grown more than 10 centimeters long or about the length of a human finger. The Institute sells about 12 million Red Sea Bream fingerlings, or about 70 percent of its annual production and about 20 percent of the total market, to offshore fish farms around the country where they grow to full size. To produce so many fingerlings requires a lot of human effort. Every New Year and Fall, these tiny fish are pumped out of their nursery tanks and onto four conveyor belts where they are hand sorted by teams of three who ensure each is the correct size and free of deformities. Counting the fingerlings and culling out the odd-shaped one is a laborious quality control task that requires knowledge and concentration. Still, Naoki Taniguchi – who manages the Institute’s Larval Rearing Division and is Deputy General Manager of the Aquaculture Technology and Production Center – doesn’t regard it as the best use of his highly skilled workforce. Taniguchi and his research colleagues think a combination of image analysis, AI, and ML technologies can result in a solution to replicate what human sorters do now. And, the Institute is currently developing such an automated sorting system using Microsoft’s Azure Machine Learning Studio and Azure IoT Hub. In the meantime, the same Microsoft technologies have been used to ease another pain point: the need for a person to constantly adjust the pump flow that delivers the fingerlings to the conveyor belt. If the flow is too high, sorters will fall behind. If the flow is too low, production times will suffer. Microsoft Japan has addressed this with Toyota Tsusho Corporation – which also played a role in the Institute’s groundbreaking Blue Fin Tuna research. Together, they have developed an AI-driven sorting system that calculates optimum flows and makes automatic adjustments. This software solution uses image analysis to count the number of fish on the conveyor belt and the spaces between them. It also uses ML to understand how the sorters complete their task at different volumes of fingerlings. “If we can use AI to automate and mechanize simple judgment tasks, we can reduce the number of workers needed from three to two, which will allow that third person to do other work or make it easier for the workers to take breaks and improve work efficiency,” says Taniguchi. The Institute believes that freeing up the time for more rewarding tasks will improve work practices for current employees. Perhaps, more importantly, it will make aquaculture a more attractive career choice for a new generation.